Following up on last month's news about the Pap test, here's a more complete explanation of why gynecologists recently changed the recommended Pap schedule. Routine Pap smears didn't just lower the rate of invasive cervical cancer by 74 percent in the past several decades. The Pap test also helped improve medical understanding of cervical cancer, particularly its cause - human papillomavirus (HPV) infection - and the way it develops. As we find out more about the disease, we also find better ways to prevent it. The new Pap schedule reflects that improvement. The first big step: Proving that cervical cancer is almost exclusively caused by HPV, and that HPV is usually sexually transmitted. Next came many insights into how cervical cells react to HPV infection over time. Among the things scientists observed was that most young women infected with the specific type of HPV that causes abnormal Pap smears clear the virus on their own in one to two years. That's why a woman's first Pap smear can be delayed to age 21. The extra time doesn't put younger women at additional risk, and it spares them the emotional and physical distress of learning they had an abnormal Pap and going through unnecessary followup procedures. In young women, the procedures to treat abnormal Pap tests can interfere with having a baby. 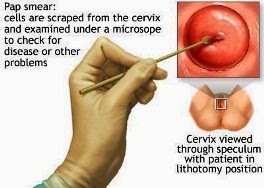 Women should have their first screening Pap smear at age 21.Women in their 20's should have a Pap smear every two years.Women age 30 and older who have had 3 normal Pap smears in a row should have a Pap smear every three years.Women who have had a hysterectomy should no longer have Pap smears if the hysterectomy was for non-cancerous reasons and they don't have a history of severely abnormal Pap smears. If you have had a hysterectomy but still have your cervix, you will need to continue routine Pap smears.Pap smear screening can be stopped in women 65-70 years old and above who have had three or more normal Pap smears in a row.These guidelines should be followed whether you have or have not had the HPV vaccine. Speak to your women's health provider about how often you should be seen in the office. There are many considerations such as age, sexual risks and your history that will help you to make a plan that takes care of your health needs.